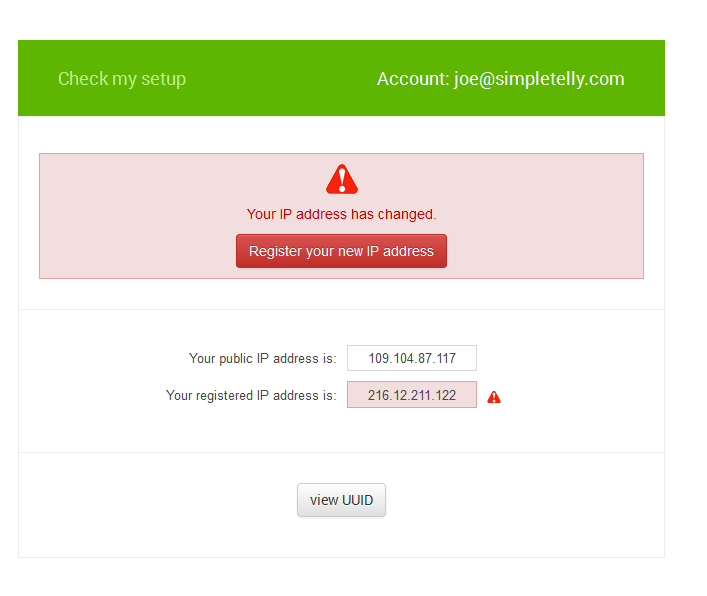 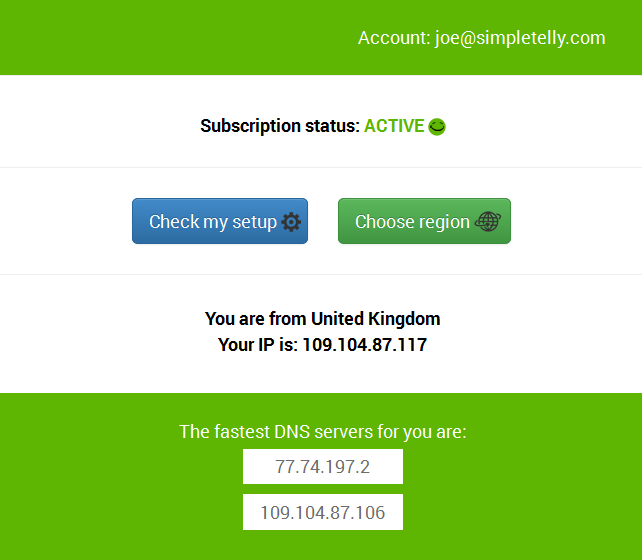 How to configure SimpleTelly on your DD-WRT router. 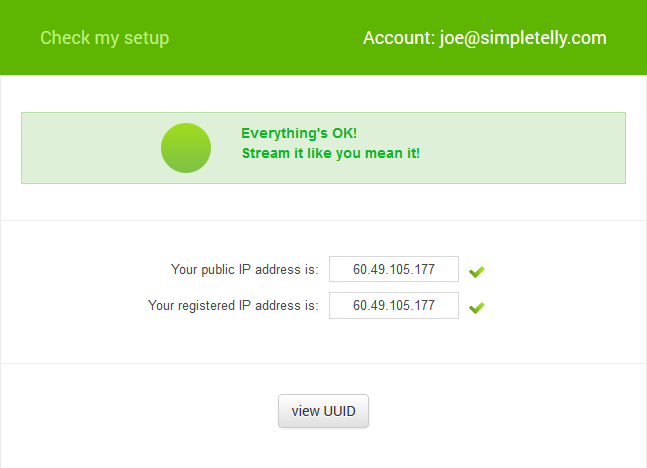 This page will guide you through the setup process on a DDWRT router. 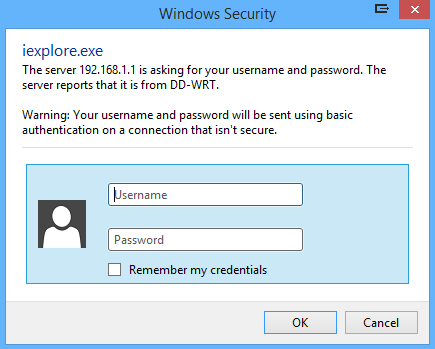 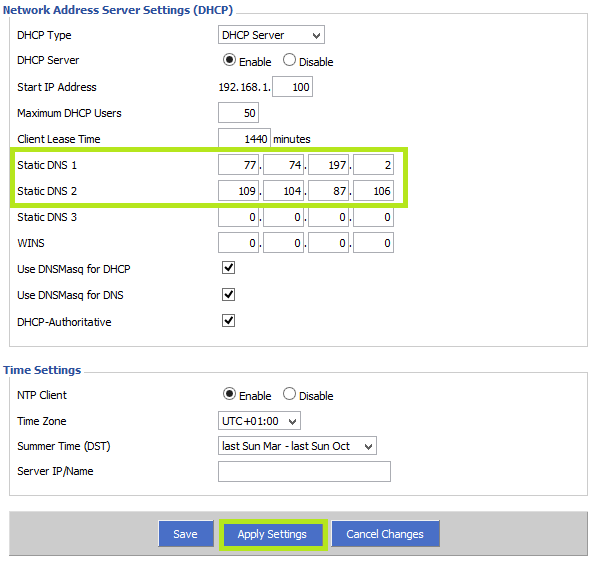 Enter the DNS server addresses that appeared on your browser earlier at the static DNS 1, 2 and click on Apply Settings.